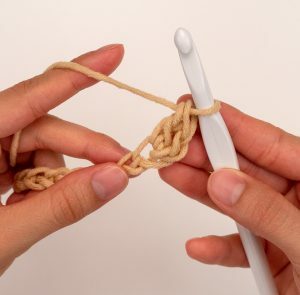 Row 1: Make a slip knot, and ch 100. 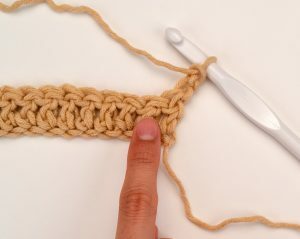 Then, put 1 dc into the 3rd ch from hook, and in each st across. 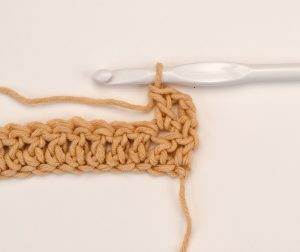 Rows 3-22: Repeat row 2. 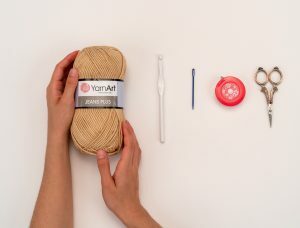 Cut yarn, leaving a long tail for sewing. 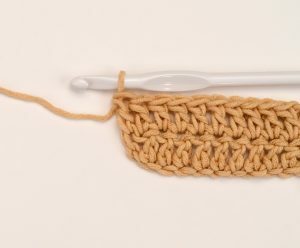 Step 1: Lay the 2 pieces you just crocheted on top of each other as pictured, and thread the tapestry needle with the long tail. 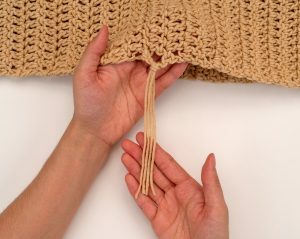 Next, sew each side the top of the poncho in 11″ (29 st) from the outside-in, leaving a 17″ neck hole open in the middle. 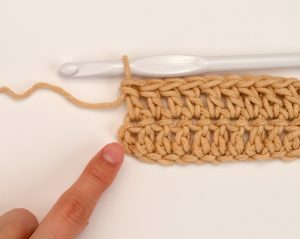 Then knot, weave in ends, and cut the excess yarn. 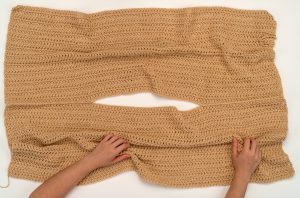 Step 2: Next, fold the pieces width-wise as shown. 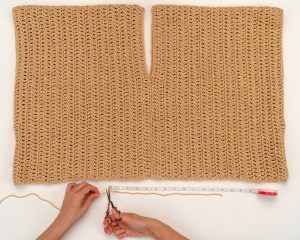 Sew up each side of the tee, 6″ up from the bottom, (6 st) leaving the arm holes open. 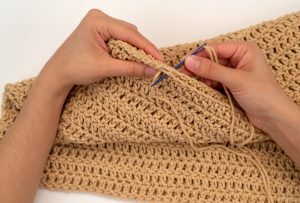 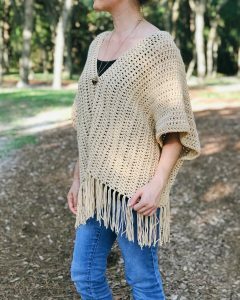 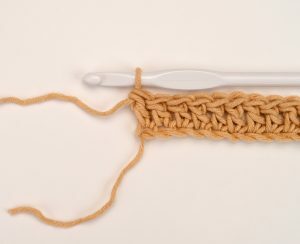 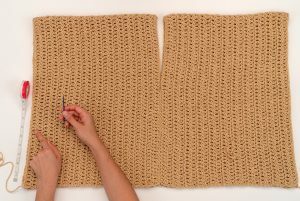 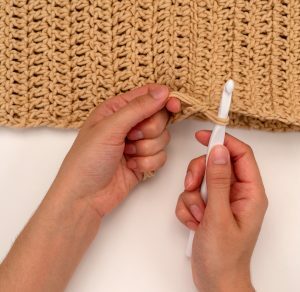 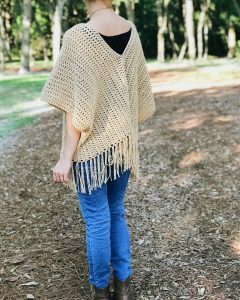 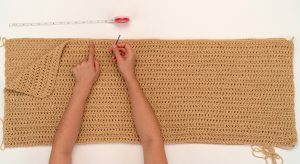 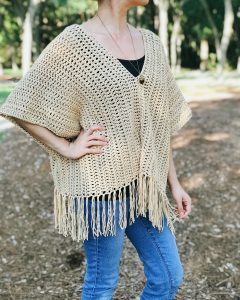 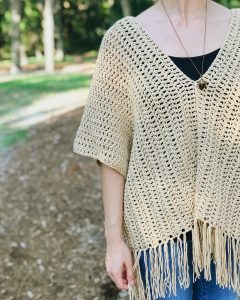 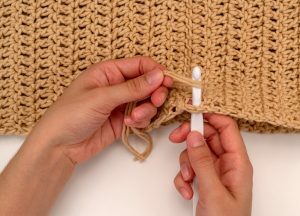 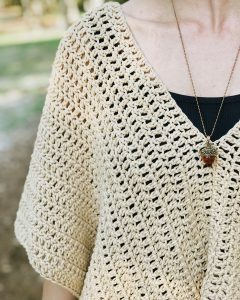 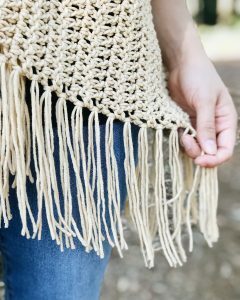 Attach with the crochet hook to the corner of one of the bottom stitches of the poncho as shown. 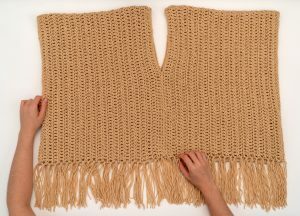 Step 2: Repeat step 1 around the entire bottom edge of the poncho, by adding 2 pieces of fringe to every stitch. 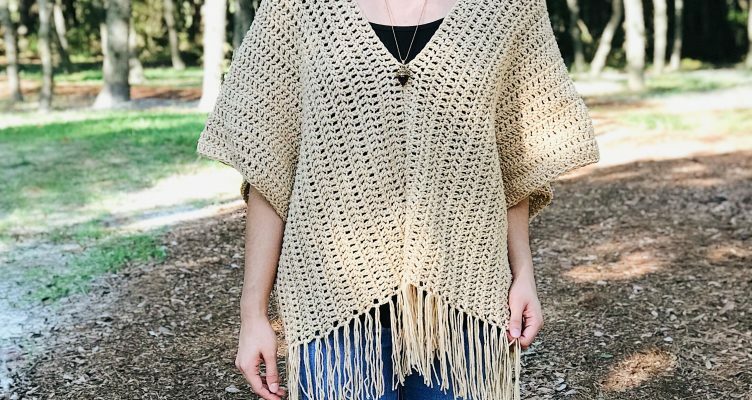 Now, just weave in all ends of the poncho & trim.